I’m not sure what I did with my time before the internet. The number of resources available at your fingertips is amazing and at times can be mind boggling. Today, I thought we would look at some websites that can be used with children to help develop literacy skills. Let me preface this by saying that the best way to develop literacy skills is to read, play and talk with your children. However, I think it is fine to use educational websites and videos occasionally, especially when the caregiver interacts with the children during the activity. Starfall helps children to develop phonemic awareness and phonics skills through online activities. It is geared towards preschool through second grade students and would also be appropriate for ESOL students. There are four categories (ABCs, Learn to Read, It’s Fun to Read and I’m Reading) for children to explore. The site is very user friendly and engaging. 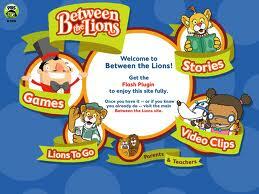 PBS Kids has an excellent children’s show called Between the Lions in which children are introduced to a variety of beginning reading concepts. They also have a website to complement the program where children can play games and listen to stories. Games range from Chicken Stacker in which you stack words with a particular short vowel sound to the Blending Bowl where you can select a blend and word ending to collide into a word. This site would be appropriate for preschool through grade one. Look, Cover, Write and Check is a site that allows a child to enter their spelling word list onto the page. They can then practice their words online using the look, cover, write and check method. This would be appropriate for any student who has a spelling list. Storyline Online is a program sponsored by the Screen Actors Guild Foundation. You can listen to famous people such as Al Gore reading Brave Irene, Betty White reading Dirty Dog Hairy or Amanda Bynes reading The Night I Followed the Dog Home. You can also click on follow-up activities to do with the book. This site is good for children in grades kindergarten through sixth. I love this site! Do you know of other user friendly sites that offer interactive literacy activities? Thank you! We’re using Starfall with our 4 and 5 year olds. Didn’t know about the others. Excited about Chicken Stacker!